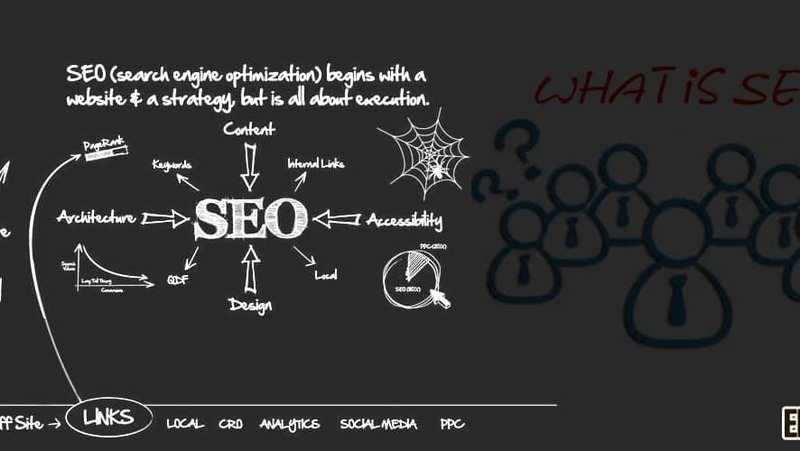 What is Search Engine Optimization (SEO) & How it Works? SEO is an acronym of search engine optimization. This technique generally refers to the techniques that will help your web site to rank higher in the organic search results, and making your site visible to the people who are searching for your product, brand, and service through many search engines like Yahoo, Google and Bing. There’re many components of improving SEO of your website pages. Search engines will look for certain elements like keywords, title tags, image tags, inbound links and internal link structure — and that is just to name some of them. Search engines will look at the website design and structure, visitor behavior or other external and off-site factors in order to decide how highly your website should be ranked in search engine pages. SEO is not about including many keywords. Keywords optimization does not mean including too much of phrase or keyword in your website content. Actually, that will hurt your SEO as search engines will distinguish it as keyword stuffing – it means you have included your keywords/phrases many times to rank for the particular keyword. Thus, you must use keywords in your web content in such a way that it does not feel unnatural and forced. Before making new website page and blog post, probably you might be thinking to include your keywords in your post. That is fine, but it must not be an only focus. Whenever you write content, your main focus must be on what your audiences want, and not how to include keyword and keyword phrase in your content. Understanding your audience and what actually interests them is a key in attracting visitors on your website through the search engines. One biggest change in last decade is a way social media networking plays in SEO. Now SEO takes in account tweets or re-tweets, Google plus authorship or other social signals. Social media search prioritizes the content and people who are related to you. This can mean through Twitter follower, Facebook friend and connection through other social media network. At times social search will prioritize content that is shared by influencer. It is not only important for your visitors to find your site, but it is also important they stay on your site longer. SEO takes in account if your users are staying on the site and interacting with other content. Suppose you rank very well for the keyword and attract visitor who is not relevant, that will not help your site. Think about your users and content they’re looking for instead how many people are coming to your web site. Earlier, success of SEO was measured if you were ranked very high on Google first page. But, even though you ranked good for the term, does it actually mean you will see the results? No not always, you might rank well for the term that is not perfect for your business. Thus, you come high on the search engines, and get lots of traffic, but your visitors realize that your company isn’t what they are looking for. You do not make any money, and ranking very high for this keyword would be fruitless. You do not need to be at top 3 slots in order to be successful. Suppose you rank good on the subsequent pages, still you may have the high click through rate. One key tool the search providers like Google, Microsoft (Bing) and Yahoo use to determine rankings are the “spiders”. Spider is the software that crawls on web in the methodical and automated way. They will browse your web site to identify the real copy written on page with other things like keywords or phrases use. This data then is used to determine relevance of your website when somebody enters the keyword in Google, Bing and other search engine. Page Rank is the number scored from 10 that is provided to your web site based on the inbound and the outbound links, as well as helps the search engines to check how trustworthy your website is. Linking between the websites allows the “link juice” to carry through, and if your website is linked by the site with good Page Rank, link juice gets carried ahead to your website and improving your web ranking.